Air filters should be replaced every six months to achieve maximum air filtration. With regular Alen air filter replacements, you extend the life of your air purifier, meet Alen's Lifetime Warranty Policy and ensure optimal air particle removal. Do not attempt to wash the Alen HEPA filters as it will damage the fibers. Signs that your filter needs replacement include: bad odor or smell from the unit, increased signs of dust on furniture or increased sneezing or coughing due to allergies. 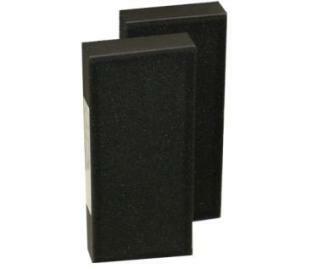 Replacement HEPA air filter for use in the Alen T100 and T300 air purifiers. Includes a set of two filters. The Alen T100 uses one filter and the T300 takes two filters.